On Monday one of my students came rushing up to me because she had finished the book she was reading and needed another one just as perfect. Scariest moment in the book recommendation game! 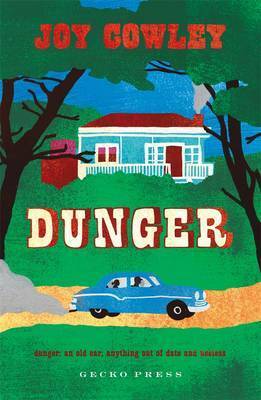 This thirteen year old reader loves speculative fiction, and is very picky, in a good way. She’s a clever girl. ‘How about a differently perfect book?’ I ask with some trepidation. Sometimes introducing new kinds of books to readers is like introducing new vegetables to babies and toddlers. You might be lucky, and they’ll view it suspiciously, but let you put the spoon in their mouth, taste it, widen their eyes, and open their mouths for more. Or they might spit it out, perfectly aiming for any new or white clothing, and never let that vegetable within high chair reach again. I’m a believer in persistence though. Let a little time pass and try again. And again. And again. And so it is with this young reader. For the last year I have been working very hard to get her to try something new. Something with a texture that is a little different, with a flavour that is novel (I know, but an irresistible pun – right? ), and most of all something that is nutritious. Because she is a clever girl, and she needs to digest a wider range of food groups in her reading. I pull ‘Rooftoppers’ out of my back pack. I have the advantage here. All of the children want to read Mrs OW’s newest books. And this one is beautiful. It has a smoky cover with gorgeous silver embossed writing, a mysterious moonlit skyline of rooftops, and the silhouette of a character sitting on the rooftops, playing a cello. Everyone wants to hold it. Even a few of the boys are standing a row or two back, trying not to look too interested. I read the blurb, (something like) ‘On the morning of its first birthday, a baby is found floating in a cello case in the middle of the English Channel.’ What’s a rooftopper? Why a cello case? What’s a cello? (sadly), are questions that are flying around the room. And chuckles ripple to, ‘The baby was almost certainly one year old. They knew this because of the red rosette pinned to her front, which read ‘1!’ ‘Or rather,’ said Charles Maxim, ‘the child is either one year old, or she has come first in a competition. I believe babies are rarely keen participants in competitive sport. Shall we therefore assume it is the former.’ Charles names the baby Sophie and takes her home, because she is his responsibility now. These are lines worthy of Winston Churchill, Oscar Wilde or Stephen Fry! 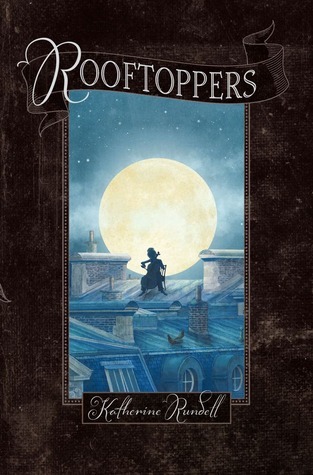 Katherine Rundell’s ‘Rooftoppers’ has been referred to as luminous, and extraordinary, and poetic. It has an ending controversial enough to argue over. It is not so perfect that you can’t disagree over what you like about it – some of it feels a little overworked, and some of it feels a little bit precious. But that’s good. It gives the book its character. In the end, though, the truth is in the reading. The very next day Sophie brought ‘Rooftoppers’ back in to school, having finished it already. She wasn’t keen to let it go, but reluctantly handed it over to the next reader on the list, who has also already finished it and passed it on to the next. I had to buy a kindle version, so that I could write this review. But I would recommend the hard copy, hardcover for preference. It is a book you need to hold, to feel the heft of it.